With a sun-kissed coastline that's spectacular in both directions, Perth is nirvana for beach and water lovers. You can discover a Mediterranean-style getaway on idyllic Rottnest Island, meet the local penguins at Shoalwater Islands Marine Park and explore Fremantle's captivating waterfront. Or check out Elizabeth Quay, a new entertainment hub on the Swan River. 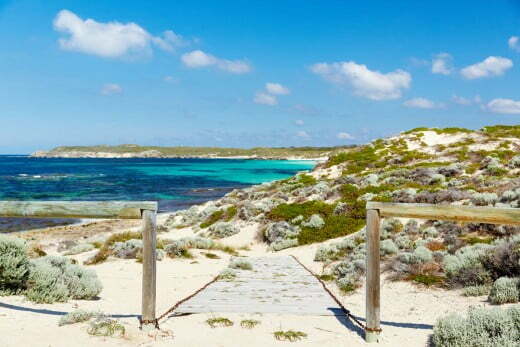 Escape for the day, or longer, to Rottnest Island - Perth's very own island paradise. While Rottnest is known for its gorgeous beaches, quokkas are the number one attraction. These cute, cat-size marsupials hop along the ground and can also climb trees. Quokkas are easiest to find in the Rottnest settlement area, where there is plenty of water and food. Quokkas are cute, cat-size marsupials that hop along the ground and can also climb trees. They only live on Rottnest Island. With no cars on the island, transport by bike only adds to the island’s relaxed pace. 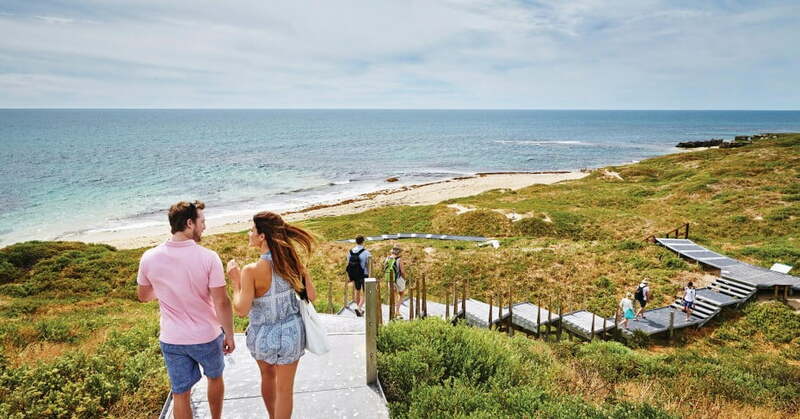 If cycling's not your thing, enjoy a round of golf, play archery tag or pick from a range of guided tours for a deeper insight into Rottnest's rich history and pristine environment. When it comes to having fun in the water, you almost have too much choice. You can snorkel in the protected bays, catch some waves, head out diving, go fishing or bask in the shallow warm waters. The Shoalwater Islands Marine Park, just a 45-minute drive south of Perth, is home to a range of beautiful marine animals. You can swim with wild dolphins, cruise the bays in a glass bottom boat and tour Penguin and Seal Island. Penguin Island is an unspoilt nature reserve, located just five minutes by ferry from the shore. It has gorgeous white sandy beaches, secluded bays and clear turquoise water that’s perfect for snorkelling. The island is named for Western Australia's largest colony of little penguins, the smallest penguin species in the world. For a closer look, you can watch a penguin feeding session - there are three a day. Perth has some impressive gold rush architecture, built when budgets were big. One beautiful example is the heritage-listed Moores Building in the thriving west end of Fremantle. The building is home to the Moores Building Contemporary Art Gallery, a great place to expand your experience of modern art. With original exposed limestone walls and a wooden ceiling, you immediately feel the history of the place. As well as multiple exhibitions, the gallery runs art courses and has an 'artists in residence' programme. When you've soaked up enough art you can move to the adjacent café, which has a sun-drenched courtyard and an equally attractive menu. Newly-opened Elizabeth Quay, which reconnects the Swan River to the city, has something for everyone. Children will love to splash and play in the nautical playground on 'The Island', while art-appreciators will delight in the 29-metre tall Spanda sculpture, which links between the river, land and sky to welcome visitors to the quay. 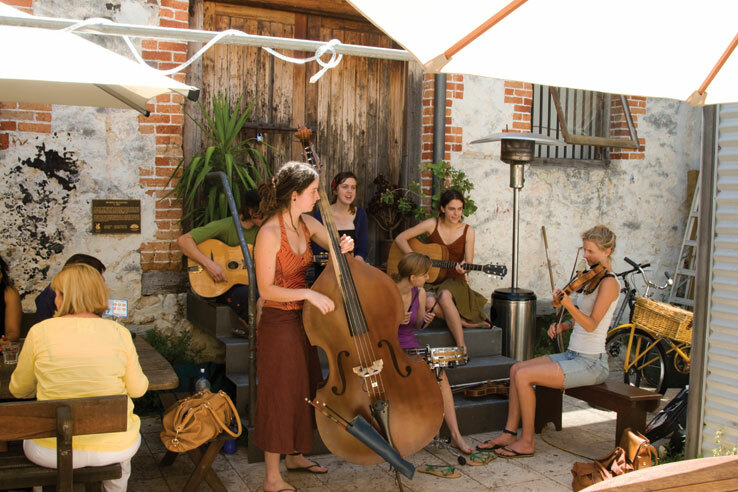 Catch a live music session and enjoy something to eat and drink once you're finished exploring this exciting new area.